After decades of living in a single-family home, a retired couple opted for high-rise ease. 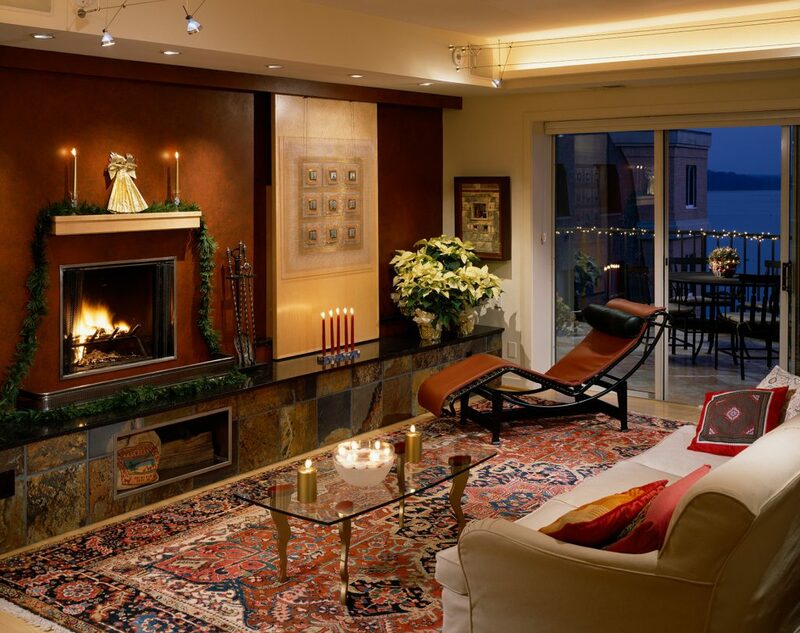 But getting the space and features they wanted meant combining two adjacent condos into one graceful home. A retired couple moving to a high-rise opted to fuse two condos to get space to showcase an art collection. When the walls came down, our greatest challenge was to make the resulting long, narrow condo into a series of spaces that were light and open, yet well-defined. Preservation of panoramic views dictated that the television and fireplace share a wall. 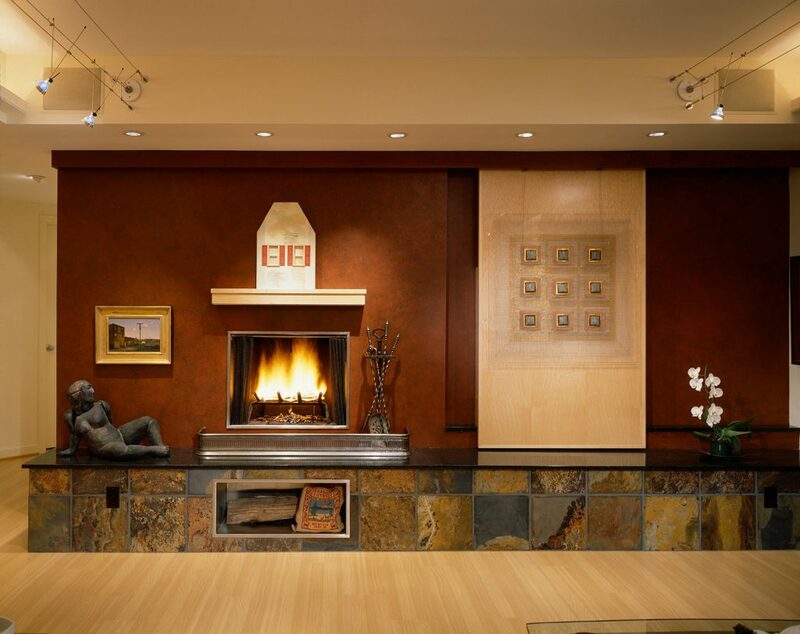 To solve the problem of competing focal points, we created a sliding cover for the television recess that also serves as an elegant frame for hanging works of art. A glass-and-maple display unit defines the living room and draws the eye upward. 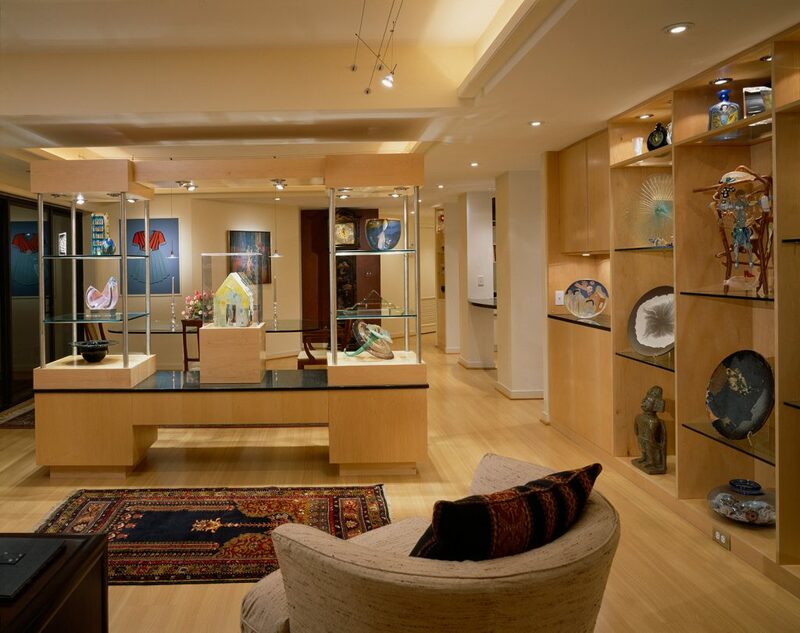 We designed a versatile lighting system of xenon cove lamp strips and halogen spots on wire cables to add drama and highlight the owners’ ever-evolving art collection. 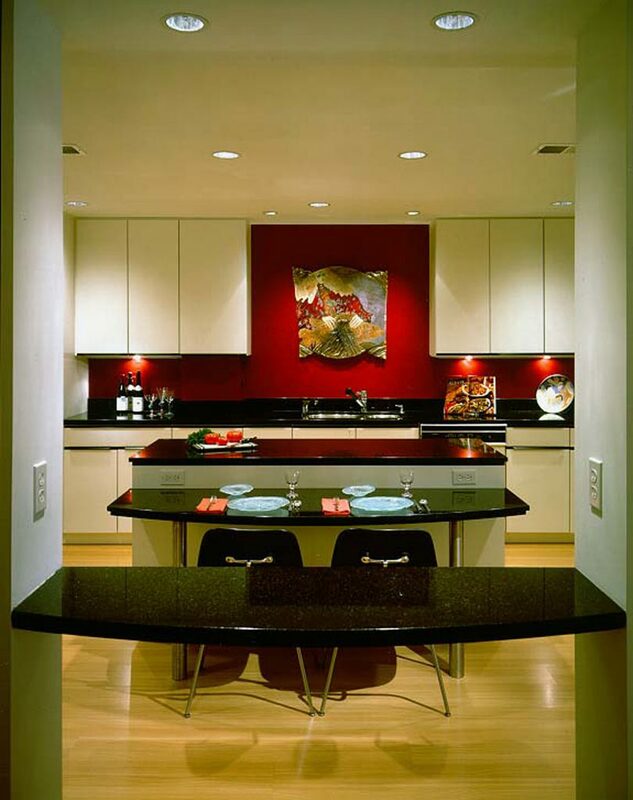 In the kitchen, support pillars sandwich the kitchen buffet and increase the room’s sense of height.